Canon ELPH 100 HS (IXUS 115 HS) is a 12 megapixel Digital Camera features 4X Optical Zoom with Optical Image Stabilizer, ISO 100-3200, Full 1080p HD Video for exceptional quality and keep footage stabilized with Dynamic IS, Smart AUTO intelligently selects the proper settings for the camera based on 32 predefined shooting situations, Toy Camera Effect and 3.0-inch TFT color LCD. The camera measures (W x H x D) 3.67 x 2.20 x 0.78 in./ 93.1 x 55.9 x 19.9mm and weighs 4.27 oz. / 121g. Canon’s HS SYSTEM with a 12.1 Megapixel CMOS and DIGIC 4 Image Processor improves shooting in low-light situations without the need for a flash and lowers noise levels at higher ISO settings. The Canon HS SYSTEM takes the frustration out of low light shooting. The system delivers clear, blur-free shots with all the ambiance intact, and frees you from the sometimes unwanted effects of using the flash. Beautiful low light shots are possible at both low and high ISO speeds, and the dynamic range is expanded to retain maximum detail in highlight and shadow areas. The system is the result of two technologies brought together in a compact PowerShot. The first is the 12.1 Megapixel CMOS Sensor, which positions the light-receiving surface for optimal light reception. More light means clearer, blur-free images with plenty of detail and nuance, even in dark areas. 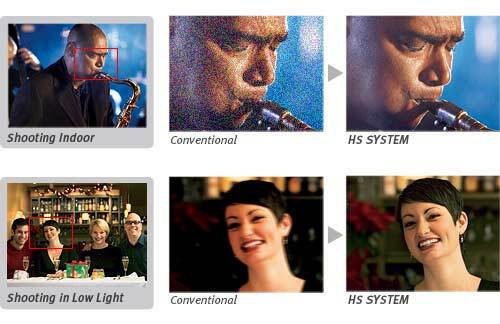 Working together with the CMOS sensor to deliver the HS SYSTEM is Canon’s advanced DIGIC 4 Image Processor, which actively reduces noise and delivers high speed image processing. 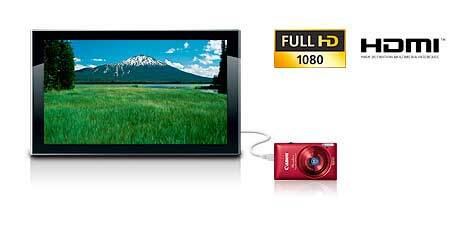 Full 1080p HD Video for exceptional quality with stereo sound, plus a dedicated movie button for easy access. Zoom optically while shooting video and keep footage stabilized with Dynamic IS. Experiencing the brilliance of Full 1080p HD video in a Canon PowerShot ELPH digital camera has never been easier. With the convenient dedicated movie button, you’ll be able to instantly record everyday moments in amazing life-like realism at a push of a button. You can also operate the optical zoom while shooting video so you can get in close–but don’t worry about shaky footage because Dynamic IS will help keep your videos steady! Get high-speed shooting in a point-and-shoot camera: High-speed Burst Mode captures 8.2fps and Super Slow Motion Movie records video at high speeds to allow slow motion playback. Sometimes, the action just won’t stop for you. The PowerShot ELPH 100 HS digital camera is equipped with High-speed Burst Mode that can capture 8.2 frames per second, letting you catch the sequence of the action–a feature great for using at sport events! You can also add a fun slow motion effect to you videos with Super Slow Motion Movie. Super Slow Motion Movie will record your clips at a high speed so that when you watch your videos, they’ll play back in slow motion–a feature also useful for analyzing a play-by-play of sports moves! The PowerShot ELPH 100 HS digital camera takes the quality of your still images and videos to a whole new level – automatically. The camera’s advanced Smart AUTO system detects a wealth of information about the scene you’re shooting, then automatically selects the optimal settings for you. Now with an expanded range of 32 shooting scenarios, the camera handles a wide variety of situations, freeing you up to concentrate on composing your shot and capturing the moment you’re looking for. From portraits to landscapes to action scenes, the PowerShot ELPH 100 HS digital camera has you covered whether you’re shooting stills or videos. You define the aperture to either isolate your subject or have clarity throughout the entire picture, and the camera will choose the corresponding shutter speed. 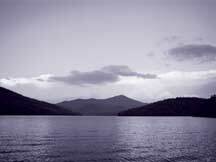 You select the shutter speed to stop or blur action, and the camera finds the appropriate aperture. With slow exposure times, Canon’s noise reduction system activates to ensure low image noise. Records a video clip before capturing a still image and then combines one day’s worth of clips into a video. The camera sets a large aperture, focusing the subject and artistically blurring the background to make your subject pop. Reduced focusing time freezes fast-moving subjects, so you won’t miss those special shots. Transform background bright spots to stars, hearts, music motes and more. Shoot in Full HD (1920 x 1080) at 24 fps for up to 14 min. 53 sec. or 4GB per clip. Shoot in HD (1280 x 720) at 24 fps for up to 21 min. and 23 sec. or 4GB per clip. Shoot in VGA (640 x 480) at 30 fps for up to 46 min. and 46 sec. or 4GB per clip and QVGA (320 x 240 at 30 fps) for up to 2 hours 23 min. and 41 sec. or 4GB per clip. Record your clips in high speed (approx. 240fps), and then watch your videos in slow motion. Canon Helps You Get Great Quality Easily. 4x Optical Zoom with a Wide-Angle lens (28Ð112mm) Optical Image Stabilizer and a 3.0-inch PureColor System LCD. The PowerShot ELPH 100 HS digital camera has the tools you need to photograph every moment in crisp, clear Canon quality. From wide-angle to telephoto, the 28mm Wide-Angle 4x Optical Zoom Lens lets you capture more into every shot. The Optical Image Stabilizer will also help keep all your images steady. The big and bright 3.0-inch PureColor System LCD screen lets you see everything easily, so whether you’re trying to frame a shot or just reviewing your images, Canon helps you get the best image every time. Movie Digest Mode records a short video clip right before shooting a still image and then combines one day’s worth of clips into one video. Putting together a video containing highlights from family vacations, important occasions and other special events is now easier than you might imagine. Using the Movie Digest Mode, you can have the camera automatically record a short video clip (up to approximately 4 seconds) every time you shoot a still image. The camera will then combine an entire day’s worth of clips into a single video. No editing required Ð Movie Digest Mode does all the work, so you can sit back and enjoy your video! 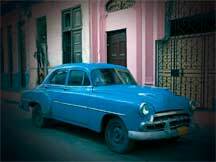 Add some vintage nostalgia with Toy Camera Effect. Toy Camera Effect recreates this look by darkening the edges to make them appear is if they were photographed through a pinhole lens and adding contrast. Monochrome lets you sway away from the usual black & white combination. Now you can choose from three single-toned effects: Black & White, Sepia or Blue to really give your photos the effect you’re looking for. This entry was posted on Friday, November 2nd, 2012 at 6:15 am and is filed under Canon, Digital Camera, Point & Shoot Cameras. You can follow any responses to this entry through the RSS 2.0 feed. You can skip to the end and leave a response. Pinging is currently not allowed.